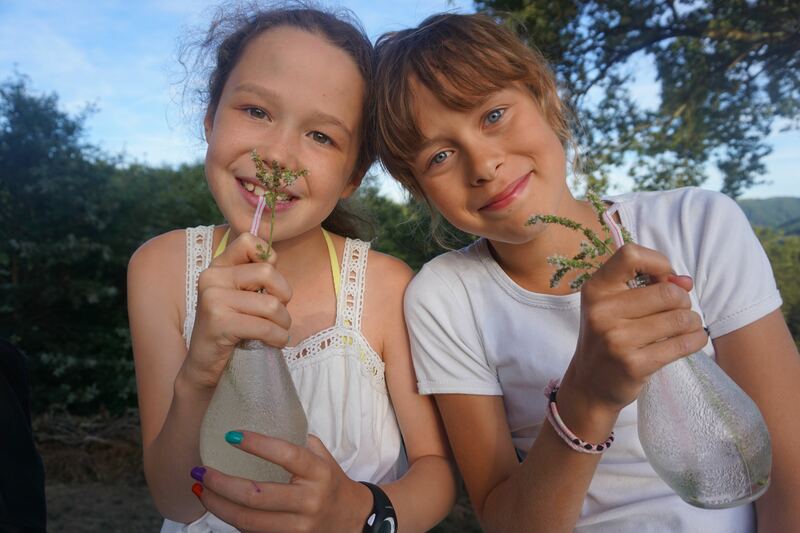 This summer in the country Esther and I decided to see if we could create some of our own mint syrup. 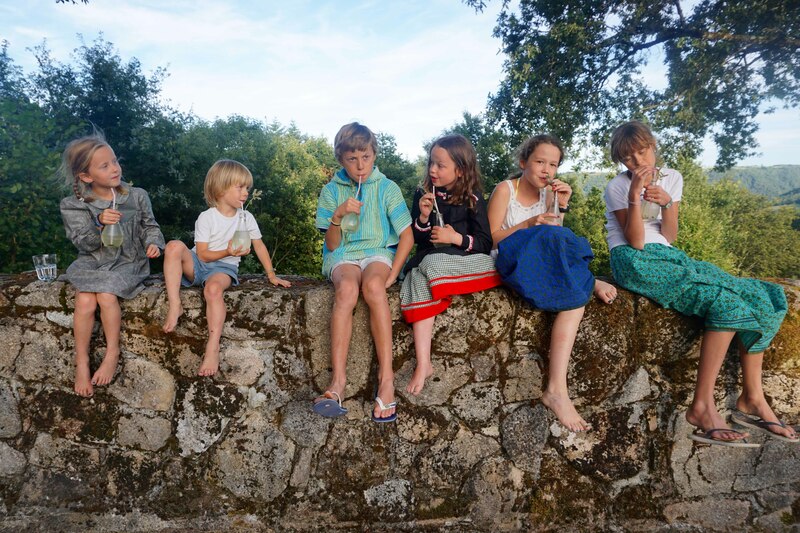 You see, Sirop à la Menthe is the ubiquitous summer drink for French children. The original version is luminous green and you will find it at every cafe in France. It is oddly refreshing and our kids would drink it in litres. 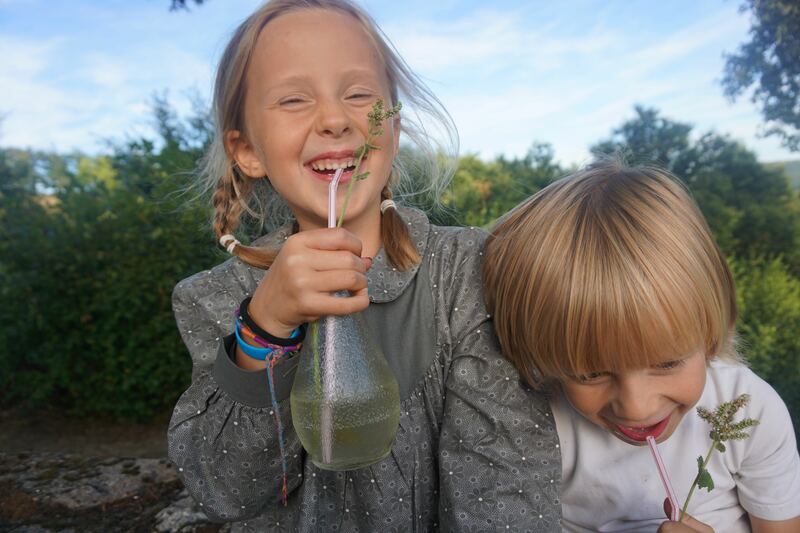 We had wild mint, water and sugar at our fingertips, so we decided to try and make some of our own (obviously we must have been chemists in one of our former lives, as we do like mucking around and experimenting when we get to hang out). BTW how gorgeous is Esther’s summer house in the South of France? Such a lovely place to hang out and relax. Thank you so much, Esther, for having us! Looks delicious! And the kids are so sweet. Love seeing them in the videos. Quinoa Oats -- a yummy breakfast idea for chaotic family mornings!